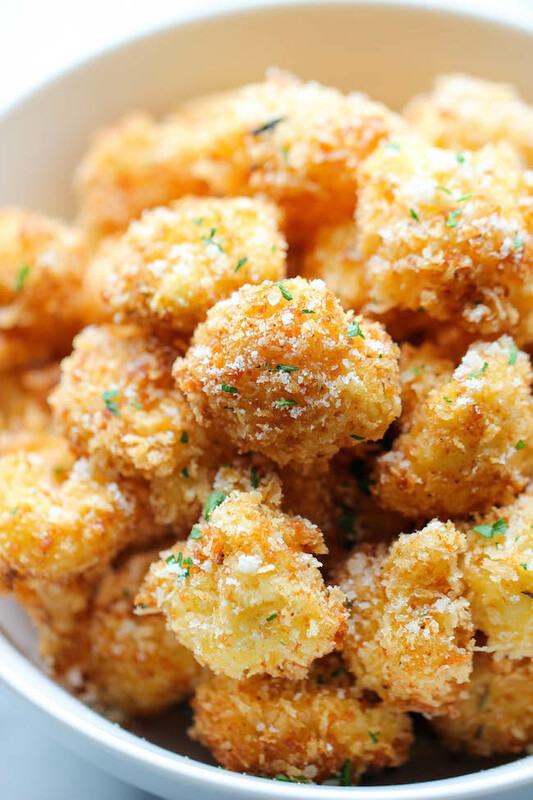 Crisp, crunchy cauliflower bites that even the pickiest of eaters will love – perfect as an appetizer or after school snack! In a large bowl, combine Panko, Parmesan and Emeril’s Essence; set aside. Working in batches, dredge cauliflower in flour, dip into eggs, then dredge in Panko mixture, pressing to coat. Add cauliflower to the skillet, 5 or 6 at a time, and cook until evenly golden and crispy, about 2-3 minutes. Transfer to a paper towel-lined plate. Next Post Wanna Play a Game? ?